those old ballet pink tights with the seams up the back. getting fitted for costumes…nobody should be sticking pins near my private region Haa! the splits. all I have to say. the moment when the choreographer starts giving out spots. to be front and center or to be in the back? did we really wear bodysuits where the leg was cut so high my hip bones were exposed? and did we then add a belt to that? making that perfect bun in your hair, properly in line with your ears. the competition where everyone uses the same song. “Pump up the Jam”…for the 13th time. stage mothers…I guess now known as dance moms. perma smiles vs. natural faces. tap shoes with the soooo not pretty height of heel. ok…I’ll stop now. Those were good times. Really unattractive times. But good times. now I am happy to be old. a grown-up dancer who wears what I want. tights, no tights, bun, no bun. no high cut body suits. yes to leggings and shorts. the freedom! no splits. no lambs wool. now the dance moms are the moms who are dancing. I can booty shake and jump and spin and I don’t care whether I am in front or not. it’s good to be the grown-up! It’s soooo good to be dancified! Of your dance class I mean. Fitness? Fun? Health? Joy? Some need a target time, like a show, exam or competition. Some just enjoy it for what it is and see each class as the goal itself. For some, a single step becomes a goal, like mastering the pirouette or learning a fouette turn. Some students want to work to perfect the same routine week after week and others like the challenge of new choreography with each class. All grown-ups, all children, all students have their own learning style and their own motivation and goals for going to a dance class. For me, as a student, each class was a goal. To do all the combinations correctly and well. 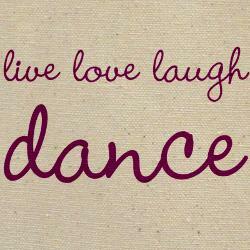 To pick up the choreography fast and in the end to dance my best, use the most energy and feel the high. My goal was never specifically to win the competition or pass the exam. Cleaning and perfecting the steps for a show was never as fun for me as just going all out with a routine in class, the thrill of starting new choreography or dancing to a song I loved. The passing of exams and winning competitions come along with it though. If you like what you are doing, you will practice and get better and better without ever considering it work. Once the music came on, I never thought about whether my toes were pointed or my leg was in proper alignment. When the music started, my brain turned off, my body (or maybe my spirit?) took over, and whatever happened, happened. Like the different methods of the dance students, teachers also have their own ways. I had a conversation with a dancified student the other day about the different styles of dance teachers. Mainly, why some give lots of corrections and some give none at all. I said that I like to give tips and advice on how to make it easier to do a certain step, but I don’t feel like most adult recreational dancers want to work on technique the same way a younger dancer would. Or a professional dancer needs to. There is no show or competition to train for. The grown-ups are not preparing for auditions. I don’t need the entire class to have the same arms or angle of the head. A correction for the dancer’s safety or to help them make the move feel better…yes. Corrections just for presentation purposes…no. I think it is up to each teacher to read the needs and wants of the class, or even each participant, and know when to give the correction and when to just let the dancers be and allow them to enjoy their dancing. You need to figure out who wants to be corrected and who wants the freedom to just do what is comfortable for their body. By all means, when you have a teenage competitive team whip them into shape with tons of corrections and enforce perfect unison of all positions. 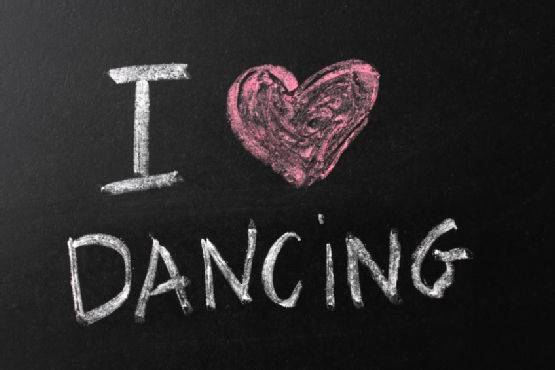 With the grown-ups…aside from a few exceptions (like the student I was talking to)…time to give them the say over their own dance class experience. They’ve earned it.